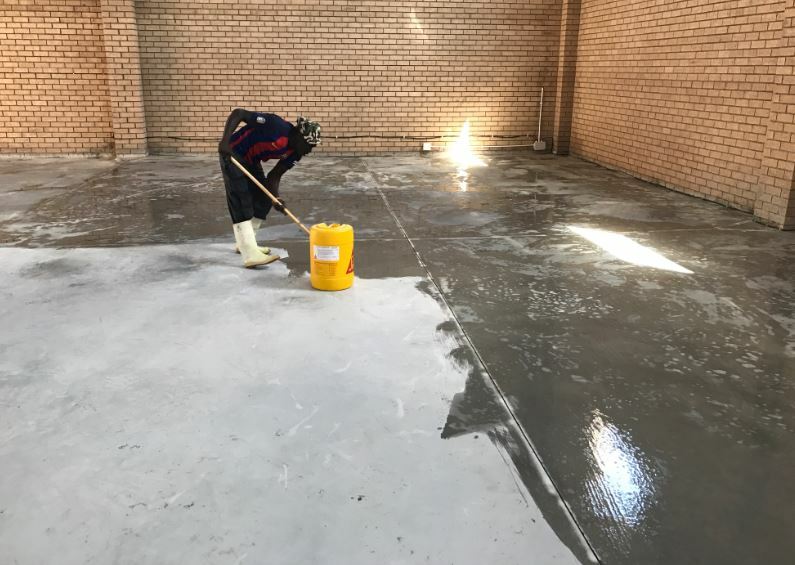 A KZN-based furniture hardware and accessory supplier, Magnavolt, recently required robust, dust-proof surfaces for their newly constructed building. The newly laid concrete floors in its custom-built storage facility would be constantly subjected to heavy-duty hysters, leading them to invest in Sikafloor-CureHard-24 for the flooring area. The dust-proof, ready-to-use and easy-to-apply product is a one-part, high solids, sodium silicate-based liquid that provides good penetration of concrete. It cures, hardens and seals fresh or hardened concrete providing an easy to clean, dust-proof surface with greatly improved chemical and abrasion resistance compared to untreated concrete. “Sikafloor-CureHard-24 is suitable for physical resistance as well as protection against ingress and is the ideal product for interior or exterior applications in warehouses, industrial plants, shopping malls, service stations, parking structures and hangars,” says Sika’s Mervyn Naidoo. Tight timelines led to the product being applied while other contractors were on site. The ease of application and quick curing of Sikafloor-CureHard-24 facilitated this challenging situation and the project was completed in one day.